A myth isn’t a lie, it’s a compass. Yearly reminder: unless you’re over 60, you weren’t promised flying cars. You were promised an oppressive cyberpunk dystopia. Here you go. An always-on, pervasive computer network offers addictive levels of immersion while doubling as a global panopticon. Economic inequality has reached exaggerated levels of disparity, and just for good measure the weather is terrible. The biggest trope in cyberpunk is that democracy breaks down and is replaced by corporate power. Multi-national companies don’t just have massive influence over nations, they have extra-territorial status that makes them nations unto themselves. That, at least, is a place we haven’t reached yet. Unless you count the tax laws that allow companies to park billions off-shore until they are able to bring enough lobbying power to bear to let them repatriate the money at a fraction of what taxes cost. In terms of plot cyberpunk stories often revolve around data-espionage heists, with talented hackers making off with valuable corporate or government secrets. This too sounds as if it was ripped from today’s headlines. Julian Assange and Edward Snowden could easily be mistaken for cyberpunk protagonists. Assange the digital crusader brought to bay through his character flaws. Snowden the principled libertarian radical seeking refuge from the world’s largest superpower in a nation whose fusion of intelligence, corporate and government power the NSA only fever dreams of. Throw in the vat-grown hamburger announcement from earlier this week and the news sounds exactly like that: a fever dream ripped from the mind of William Gibson or Bruce Sterling, fathers of the genre. Computers were invented as crypto-ware and spy-ware and control-ware. That’s what Alan Turing was all about. That’s where computing came from, that’s the scene’s original sin, and also its poisoned apple. Sterling, who has been treading these waters almost as long as I’ve been alive, has some wonderfully wry observations about the absurdity of Snowden’s exile in Russia and how Silicon Valley would commoditize the NSA’s technology. There are two types of laws in the U.S., each designed to constrain a different type of power: constitutional law, which places limitations on government, and regulatory law, which constrains corporations. Historically, these two areas have largely remained separate, but today each group has learned how to use the other’s laws to bypass their own restrictions. The government uses corporations to get around its limits, and corporations use the government to get around their limits. Between this and another piece Schneier, whom The Economist refers to as a “security guru,” drives home an overarching theme that trust in institutions—public and private—has become a matter of blind trust. Blind trust that is regularly being betrayed. This leaves the public in a psychological condition that makes it hard to look at these issues head on. It’s no wonder that most people are ignoring the story; it’s just too much cognitive dissonance to try to cope with it. Which explains to a degree why the topic of the NSA disclosures have been overshadowed at points by an intense interest in what will happen to Snowden, as opposed to what is happening to the rest of us. Yet this cognitive dissonance isn’t trivial. It speaks of a real barrier in our collective ability to wrap our heads around the scale and consequences of a pervasive surveillance system that reaches into all of our lives, feeding both corporate and intelligence interests. Cognitive dissonance can be seen as a kind of internal battle between the myths we live by and the facts at hand. Luckily we have a nascent mythopoetic complex waiting in the wings to help us parse the news. The worlds of cyberpunk stories are messy, confusing places where competing interests stand in for the vast, monolithic powers attributed to nations in its noir sibling, the conspiratorial thriller. Combined with a resigned pessimism that technology can’t solve our problems, only make them easier to diagnose, cyberpunk worlds are studies in oppression by flawed design. The underlying operating system of society is broken, and no one has sufficient power or mojo to fix it. The genre is making something of a nostalgic comeback in the medium of video games. This month saw the return of the fantasy-cyberpunk mash-up “Shadowrun” on to the laptops of computer gamers. While that game adds in elements borrowed from “The Lord of the Rings,” the beating heart of the original pen-and-paper role-playing game is a deep distrust of corporate power in favor of individuals and small groups scraping by at the margins of society. There’s an ethos embedded into that game that speaks both to the sensibilities of government-loathing Tea Party activists and artisan-culture Millenials alike. The melancholy of the idea that we’re alone in all this, while at the same time offering some solace in the human bonds of small groups who share a common story. On the horizon is an adaptation of a purer cyberpunk tabletop roleplaying game as a major computer gaming release: “Cyberpunk 2077". American society has broken down, the government is ineffectual, and anything resembling a good life must be obtained by doing dirty work for one of the numerous corporations that quietly control the world. “Cyberpunk 2077", already has a big marketing push behind it from developer CD Projekt Red despite a target release date of 2015. The assumption is that the new take will update the setting to reflect the advances in technology over the decades since the original came out in 1988. 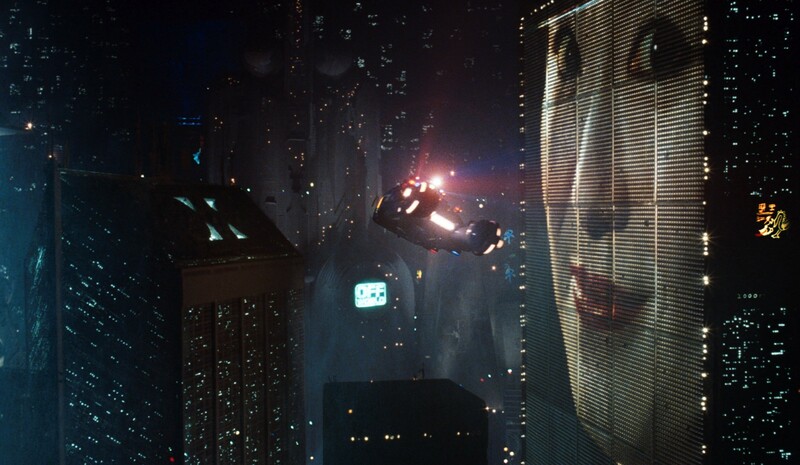 At that time “Cyberpunk” was set in that far off year: 2013. While on the whole the genre doesn’t offer much in the way of pathways out of the byzantine techno-dystopias it takes for settings, it can serve as a compass for navigating the techno-dystopia that has risen up around us. When the gulf between what we know to be true and what we thought was true is big enough, a compass can be the most valuable thing in the world. Originally published on Turnstylenews.com, a digital information service surfacing emerging stories in news, entertainment, art and culture; powered by award-winning journalists. Founder and publisher of No Proscenium -- the guide to everything immersive.